Of the 90 or so apprentices at the Williamstown Theatre Festival in the summer of 1999, only Berkshires native Kevin Bartini wanted to go into stand-up comedy. During the newbies’ traditional introductory performance, “I did five minutes of stand-up,” he recalls. Bartini, now based in New York, has gone on to become a regular in-studio warm-up act for “The Colbert Report” and “The Daily Show With Jon Stewart.” He also recently completed a three-year odyssey to get the city of New York to rename part of 121st Street after a hero of his, George Carlin. On Saturday Bartini will tape three homecoming sets at J. Allen’s Clubhouse Grille in Pittsfield for a TV special. Q. Stand-up is hard enough to get started in, and you were underage. How crazy was that? A. I started stand-up virtually out of high school. I did a lot of theater; I worked with Shakespeare & Company, and I did community theater. I figured I best be comfortable onstage. I think the first time I set foot on a comedy stage I was 19 or 20, at a club in Albany called the Comedy Works. The room was separate from the bar, so I guess it wasn’t an issue. Q. You knew all along you didn’t want to be a Shakespearean actor, you wanted to be a comedian. A. Definitely. The first year I apprenticed at Williamstown, the reason I went there was because Lewis Black was in residence there. I had the best summer of my life as a result. Q. Is that how you hooked up with the Comedy Central gigs? A. No, not at all. In the summer of ’99 his star was rising at a very sharp angle. Within a year or so I was starting to get into the New York comedy scene, and by that time he was off doing theaters. To this day, I’ve seen him in person maybe a half-dozen times. Q. Congratulations on pushing through the legislation for George Carlin Way. How did you take on that responsibility? A. I live in the same neighborhood he did, and I made the pilgrimage over there once I found out where he’d grown up. I remarked to a friend in passing that the street’s not named after him, and somebody should do it. And he said, “You should.” Truthfully, at the beginning, I had no idea what it would entail. Naively, not knowing the process, I thought, well, it may just be a matter of getting someone who has the ear of the mayor to make a call. Q. When will the sign actually go up? A. We’re working on a date right now. It will happen this fall. Q. Tell me about your homecoming taping. A. It’s self-produced. We hired a camera crew and will film it as a TV special, which we’ll then shop around. We’ll also have it released as my next album. That’s done much more frequently now, especially with so many more opportunities. You don’t have to just go to Comedy Central. There’s also Netflix, Amazon, Epix . . .
Q. On the one hand, your warm-up gigs must feel like a bit of a thankless job — the audience is not there to see you. On the other hand, it’s pretty prestigious, a great place for you to make your name. A. Absolutely. I don’t think it’s thankless at all. Doing “Colbert” and “The Daily Show” is definitely a different animal than doing warm-up for other shows. If you do it for maybe a daytime talk show, the audience oftentimes has been literally rounded up at the bus station and paid to come in. They’re just going because they’re getting a turkey sandwich. But a show like “Colbert” or “The Daily Show,” these people have gotten their tickets sometimes months earlier, often through some sort of lottery system, and they’ve stood on line all day. I watch them file in, and I see each and every one with a kid-at-Christmas look on their face. My job there is just to calm them down, to focus that energy and attention. Q. Do you ever try to be topical, or do you figure that’s hands-off? Q. How’d you get their attention in the first place? A. 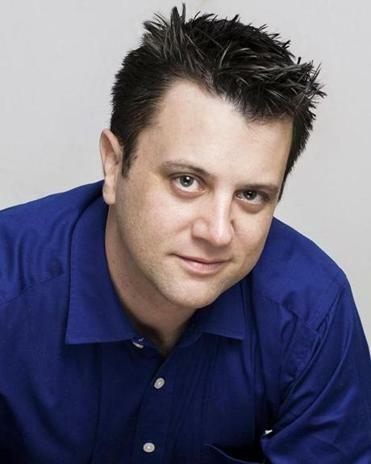 The executive producer [of “The Daily Show”] at the time was Rory Albanese. We’d met outside of stand-up years ago, through my roommate. I was brought in to do one episode. My ace in the hole going in was I knew Jon was a huge Bruce Springsteen fan, as I am. I thought it would be cool, when I was given the “wrap it up” sign, to give an introduction the same way Bruce would introduce Clarence Clemons, with the whole buildup — “Do I have to say his name?” As soon as I said his name, the house MC threw on the opening bars of “Born to Run.” It was like a rock concert. The place erupted. Jon crossed the stage mouthing “Wow!” He shook my hand, and the job was mine from there. There’s an addendum to that story. When Clarence died, I stopped doing the introduction. It was sad, and it seemed weird. About six months later I was going in, and I thought I’d do it that night. It had been a respectable amount of time. As I go to take the stage, the audience coordinator stops me in my tracks, which she’d never done before, and says, “Heads up — Bruce is in the front row.” There’s Bruce with his son, dressed like you’d want him to be dressed, in the weathered motorcycle jacket. It was so surreal, like a Madame Tussauds wax statue of Bruce Springsteen. Everyone gets up cheering except Bruce, so I made eye contact like, “C’mon, buddy.” And he stood up and started cheering. For 15 minutes I was just doing my job, but if you don’t think I was checking every punchline out of the corner of my eye to see if my idol was laughing, you’re crazy. Interview has been edited and condensed. James Sullivan can be reached at jamesgsullivan@gmail.com.